Saving the worst for last, I’m afraid. I’m not saying the Huracan casting is bad, it’s just that it came in fifth place out of 5 cars. It’s really just confusing. 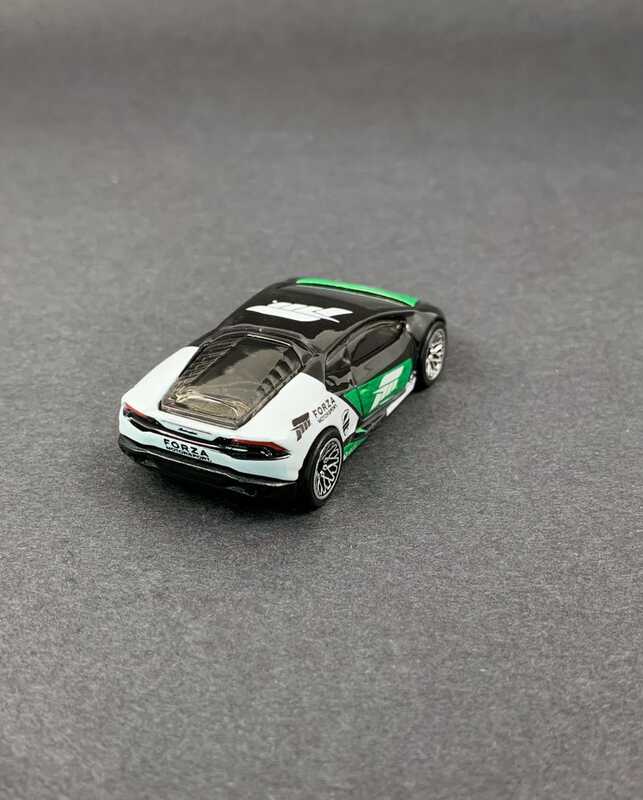 The black and white motif scream “police car”, but then there’s all that green. It almost looks... grassy? Then the headlight and taillight tampos are crazy small, albeit they are basically LED slits on the real deal. The headlights just don’t stand out well enough on the black to show off the signature Lambo LED design. Not sold on the wheel choice either. Oh well it’s a solid effort.